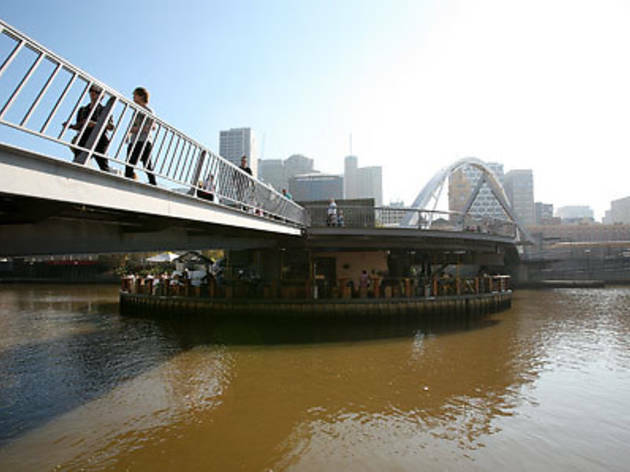 Take a stroll over the Southbank pedestrian footbridge that runs from Flinders Street Station to the arts and entertainment precinct of Southbank and you’ll notice something happening underfoot. 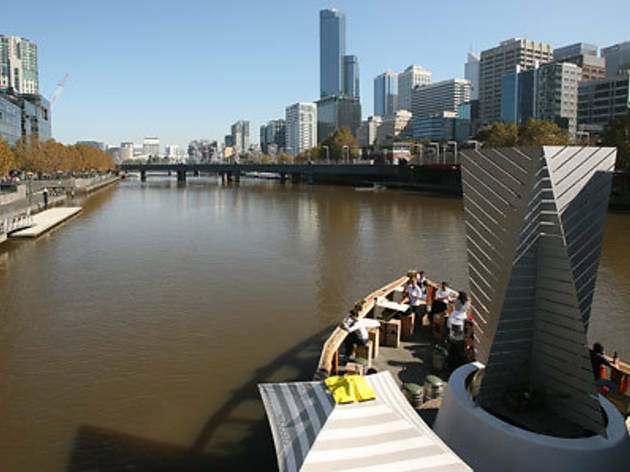 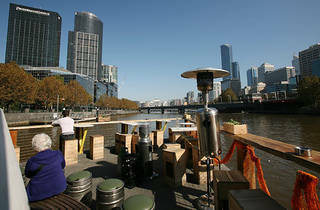 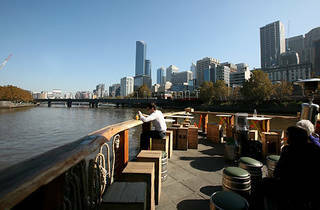 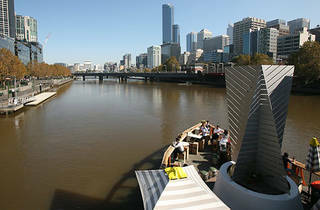 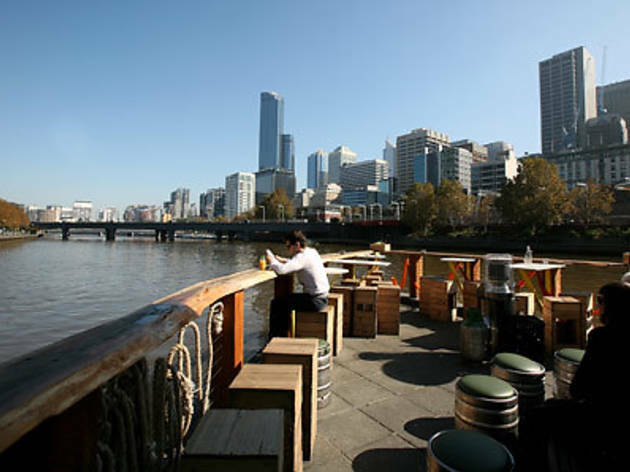 No, it’s not the tourist boats zooming down the Yarra River, it’s Ponyfish Island, a riverside bar that’s latched underneath the busy thoroughfare. 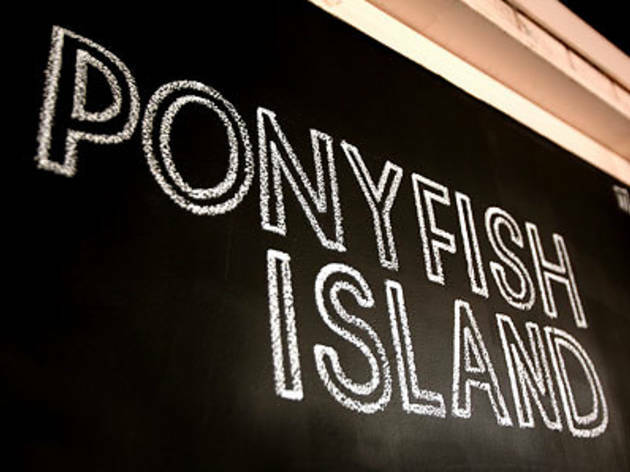 Descend via the staircase on the footbridge and you’ll be acquainted with Ponyfish’s aquatically inspired pontoon bar. 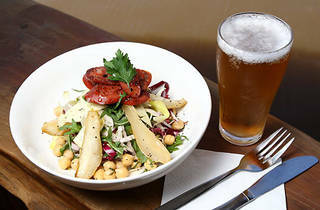 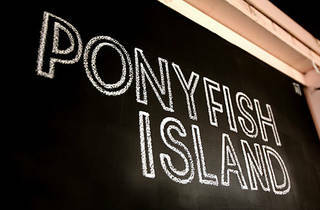 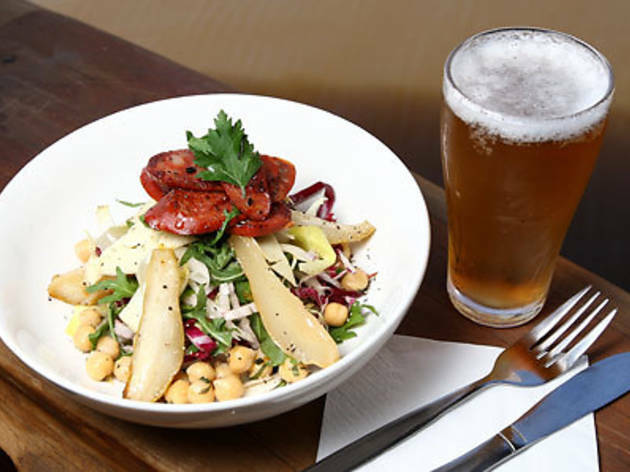 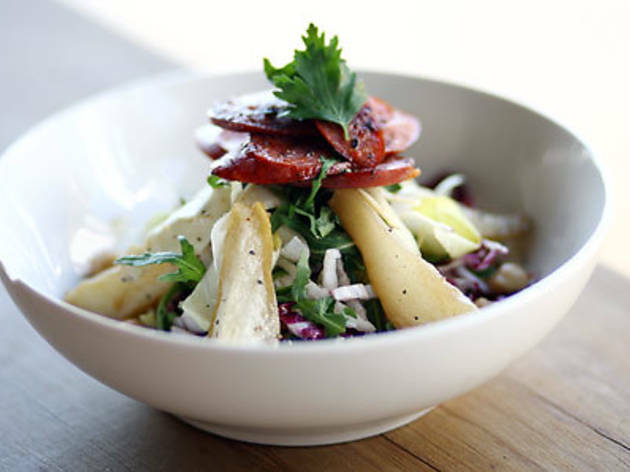 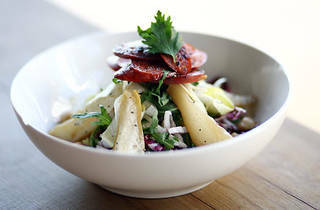 Watch the sun set over the city as you nibble on nachos, toasted sandwiches and share plates from Ponyfish's menu. 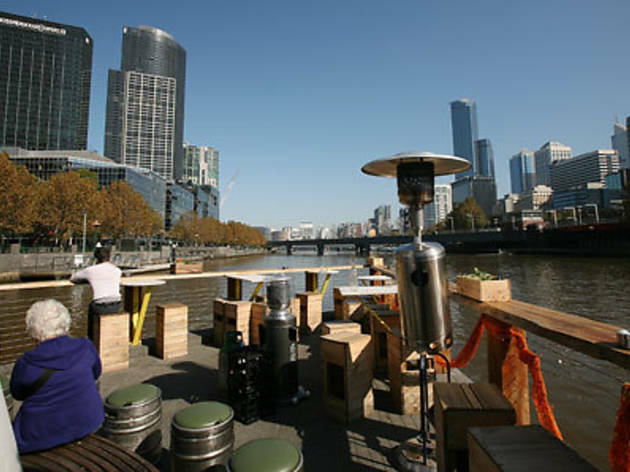 We suggest getting a cold brew or a cocktail and parking yourself beside the water as it's a prime people-watching location. 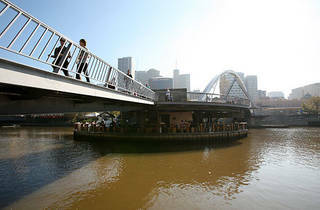 Just be careful you don't get caught in the after-work crowd who notoriously flock after five.